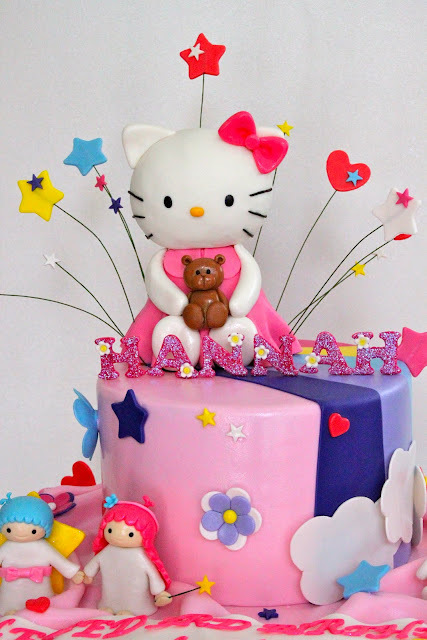 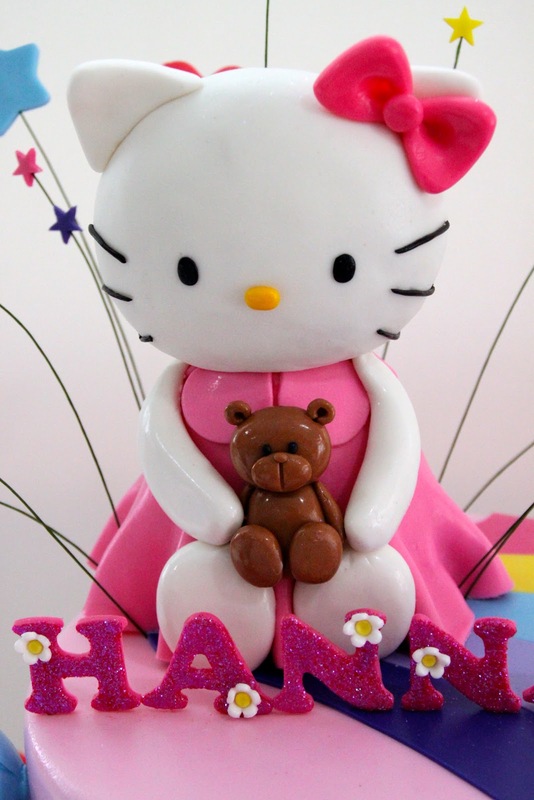 During the week we sent out another Hello Kitty Cake, actually more like a Sanrio themed cake, to a cute little girl. 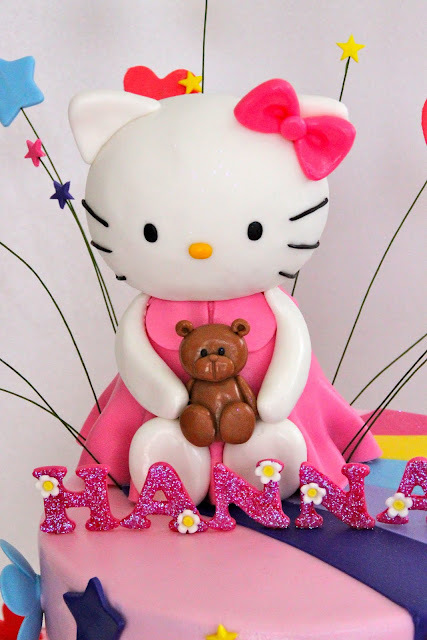 She loves her kawaii friends from the famous Japanese brand Sanrio (but Hello Kitty is her most favorite!) 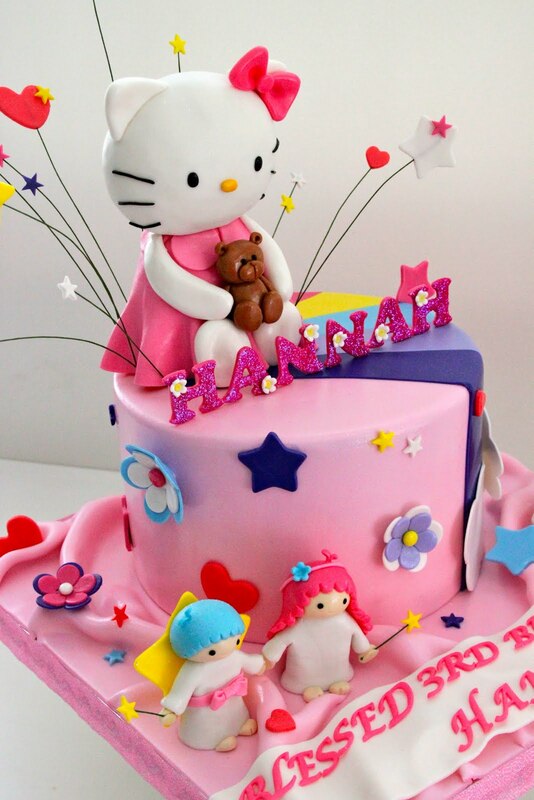 and so her mommy got me to incorporate some other Sanrio characters into the cake. 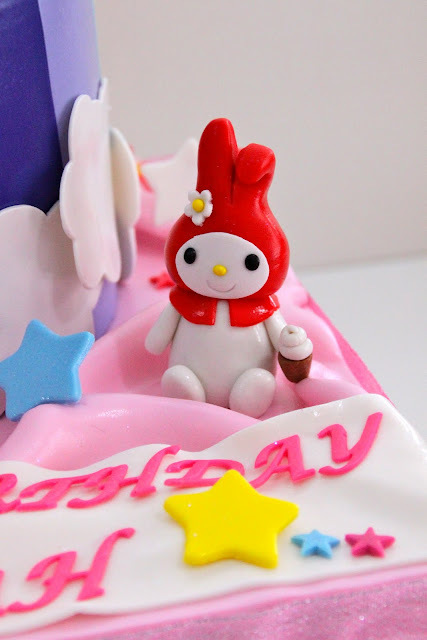 I made a larger Hello Kitty sugar figure as the main topper for this set up, and smaller My Melody and My Little Twin Stars figures to go around the cake. 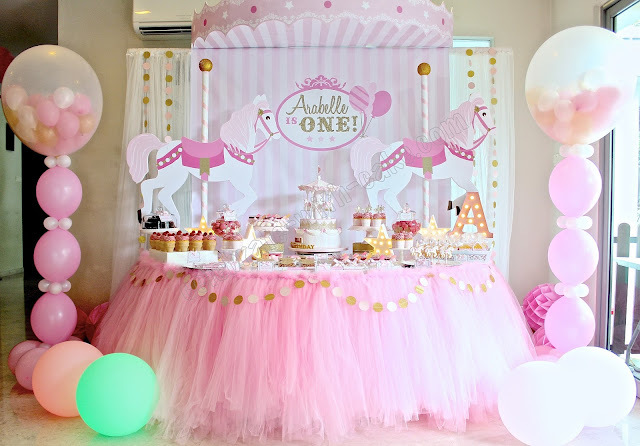 It was an all out pinky cake with a rainbow, and flying stars and hearts everywhere! 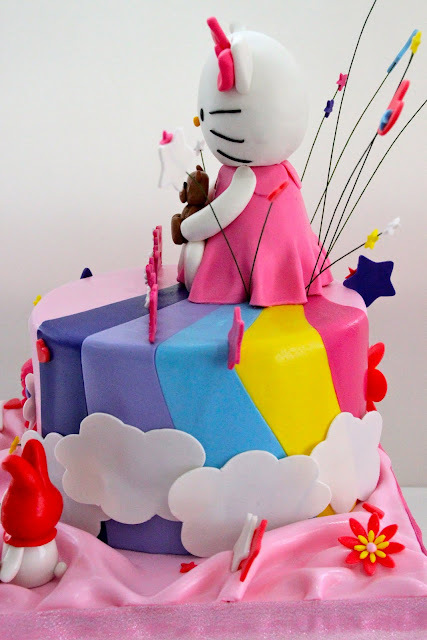 Cake was a special request of mango vanilla cake, with mango buttercream and fresh diced mangoes.